That’s the all-important, over-arching question for professional photographers of today; Do I offer print products, or digital products. What will be better for my business? Our most popular print-digital combo product is our Complete Album Set combining a full album, USB, and matching box. Pictured above is such a Set in our White Lady collection 12 x 12. Honestly, there’s a market for both – and we recognize this. That’s why, at nPhoto, we’ve decided to make your life easier and offer you products that include print and digital; making it easy for you to give your clients each medium. OK, I admit, technically, this list will include 5 separate available items that combine print and digital. This is because we have three different Complete Sets on hand: our flagship Complete Album Set, our ultra-high definition Complete DreamBook 4K Set, and our Pro series Complete Photo Book Pro Set. Yet, what these three sets have in common is they all offer a full-fledged print product, a USB of your choice, and a stylish box to house and protect both the print product and USB. Give your clients something truly astonishing with our Complete Album Set Acrylic Prestige Collection. Artwork by Luke Woodford. 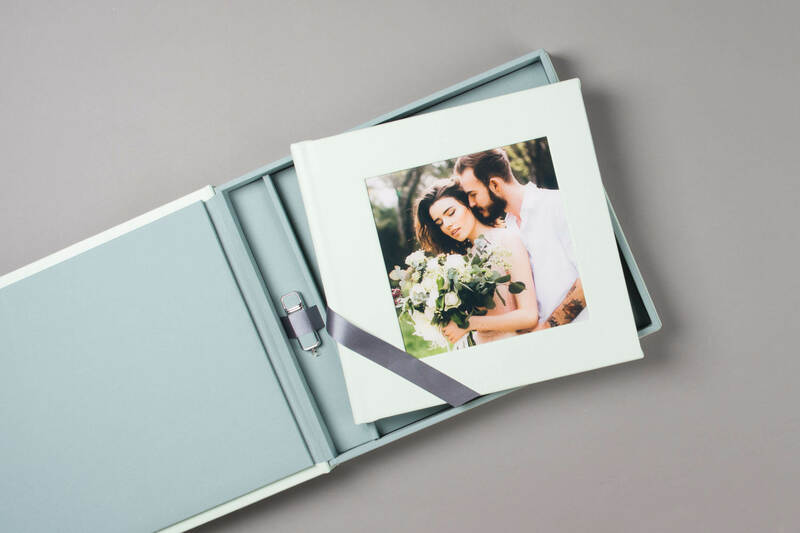 If you decide on a Complete Album Set you’ll be rewarded with our hand-crafted photo album accompanying your box and USB. 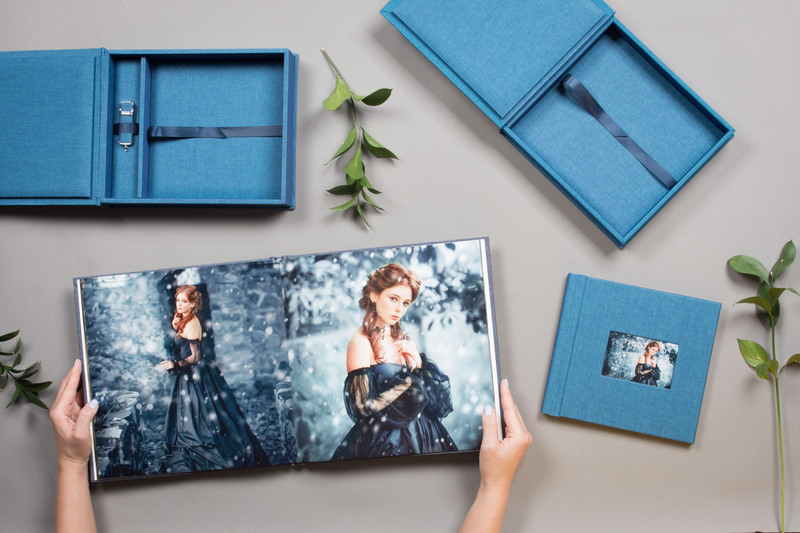 Our albums are flush-mounted resulting in high-quality, 800gsm spreads sure to last generations. You have the option among four different paper types: Fuji Silk (our standard option); Fuji Pearl; Mohawk Matte; or Canon Deep Matte. Additionally, you are able to mix Silk and Metallic spreads in one album on a spread-by-spread basis with a minimum of 5 spreads and maximum of 40 spreads possible. Our Dreambook 4K Complete Set combines the absolute best in print quality with a digital option. Pictured above - a Dreambook 4K Set printed in 4K definition. Select the Complete DreamBook 4K Set and you’ll be bedazzled by your work in unbelievable quality and definition. Thanks to the work of the Canon DreamLabo 5000, the Dream book 4K delivers projects in unreal 2400 DPI and 4K definition. With this product you can select among a Satin, Lustre, or Glossy paper type. Combine that with the fact it’s bound by a hand-crafted cover in your choice of over 60+ leatherette or textile options and dozens of cover designs and it’s easy to understand why this product is a favorite among photographers and their clients alike. Our Photo book Pro line is a cost-effective alternative, but you wouldn't even know it without seeing the price tag. Our Photo book Pro is a cost-effective alternative to our Dream book 4K, but don’t let that fool you. While it may be lower in cost it’s quality is hardly diminished. Our Photo book Pros are printed on a state-of-the-art printer utilizing the latest 7-dye ElectroInk technology resulting in a powerful print that far exceeds its price tag. Choose among three paper options as well three collection types to ensure the best match for each of your clients' photography projects. This Photo book is certainly worthy of any Pro. It’s hard to go wrong with our Complete Sets; no matter which one you choose. Yet, these aren’t the only products we offer that combine print with a digital option. 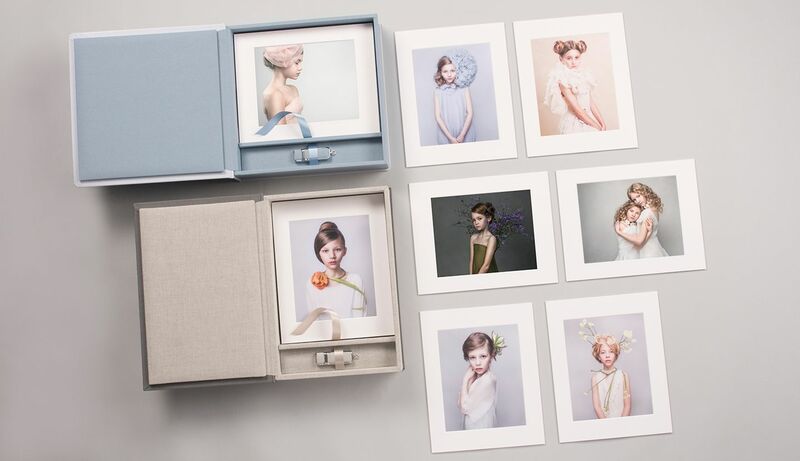 A Folio Box Set containing a digital USB alongside Matted prints. Artwork by Anastasia Folman. Folio Boxes are an incredible product that are in the midst of taking the photography world by storm. They are, quite frankly, that product that every one wants to have, and it’s easy to see why. 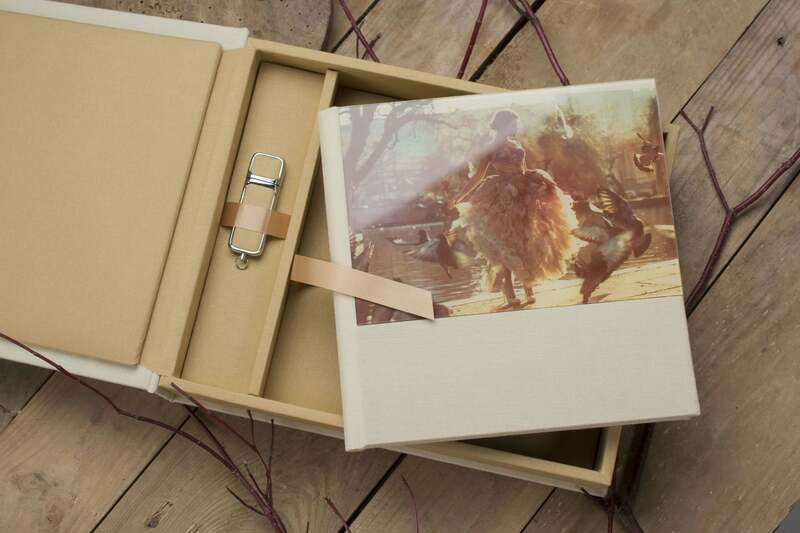 Folio Boxes combine the integrity of an album, with the versatility and practicality of prints. Yet, despite this desirability-by-design we wanted to give it even more and so decided to include the must-have prints with a digital USB option as well. Folio Boxes also come in a variety of paper options. 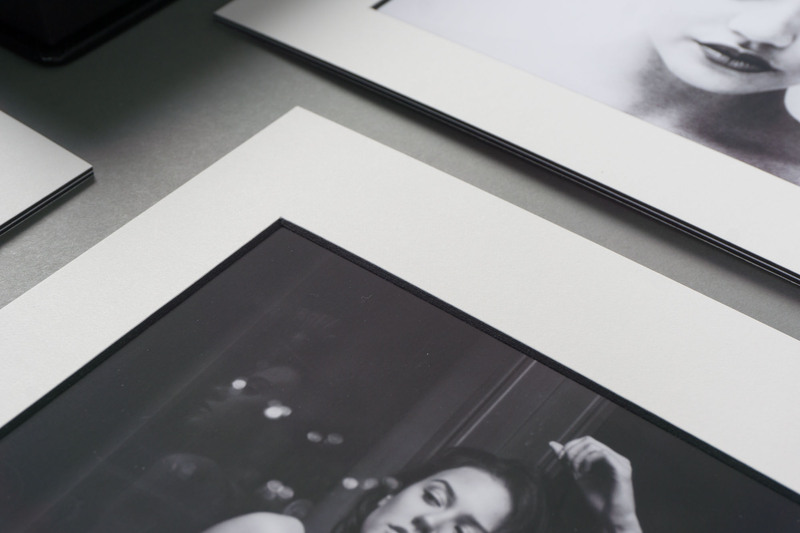 Pictured above; Folio Box Matted prints, landscape orientation, printed with the Canon Deep Matte paper. Artwork by Luke Woodford. 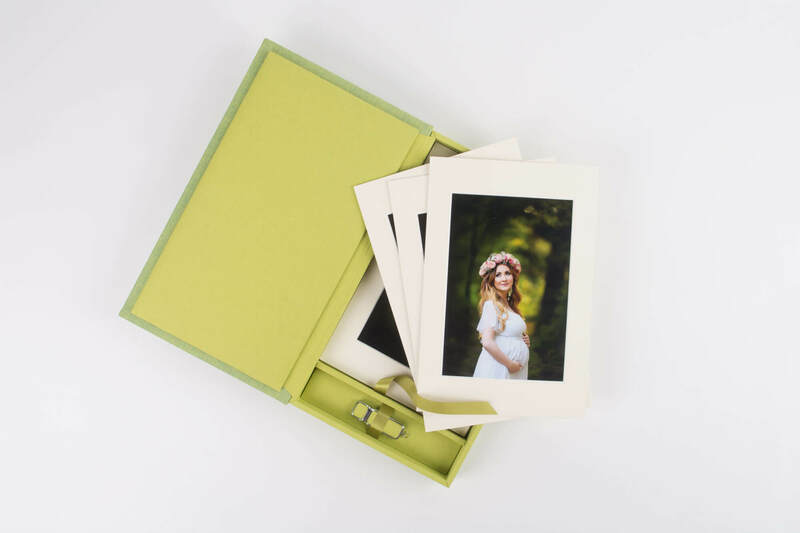 Specifically, with our Folio Boxes you are able to choose between two print-construction types – either Matted prints, or Board Mounted prints. 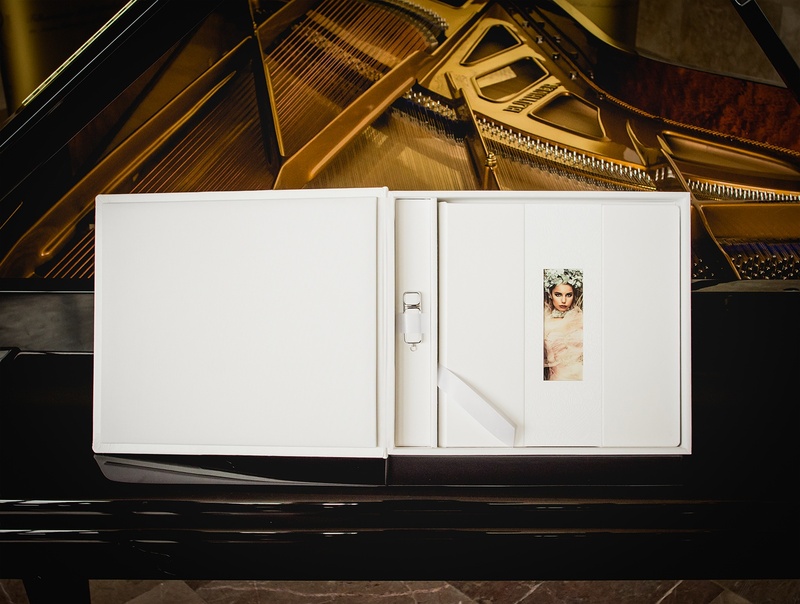 Then you can select among three different paper and print options (options may be limited by your choice of either Matted, or Board Mounted) and have a choice of 7 print sizes – with portrait and landscape orientations both available. An example of the orientation options available with our Folio Boxes. Artwork by Magdalena Sienicka. As for the digital option, choose between either a standard USB or USB mini in either 16, 32, or 64 GB capacity. This product goes beyond what the names states. Sure, for all intents and purposes it is a box for prints, but for your studio and your clients it’s much more than that. 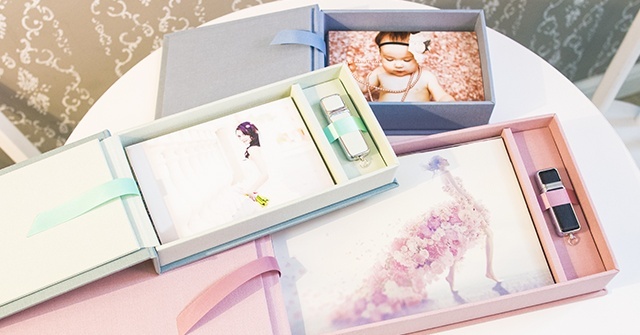 The box for prints will house your clients' most cherished memories; and for your studio it will be a stylish upgrade you can customize any way you -or your client – wish. Boxes for Prints available both with, or without a USB. Specifically, you can choose among our full range of over 60+ textile and leatherette options to design your box. Moreover, you can laser-etch or UV print your client's names and/or your own logo onto the product to drive home that personal touch. Combine now with a digital option of your choice; either a standard USB or mini USB in three different capacities; and you can be sure that all your stones will be overturned. We may be a printing and album producing company, but it’s the 21st century, and we realize this and embrace that fact. Which is why we offer these, well, five, really, incredible protects that combine the traditional integrity of photography with the modern take of digital. So the next time you find yourself contemplating that conundrum of print or digital do yourself, your clients, and your business a favor and don’t settle for simply one or the other. Instead embrace them both and watch the magic unfold.